Sweet, spicy and refreshing - this recipe is irresistible! Once you try it, you'll want to enjoy it again and again. It's sure to be a crowd pleaser. You'll need 1/4 cup of grated fresh ginger, (we suggest you peel the whole ginger root, cut into smaller pieces, and use a food processor or blender to pulverize). In a small pan, bring the ginger, sugar and cold water to a boil and stir until the sugar dissolves completely. Cover and let it steep for 20 minutes. Pour the mixture through a strainer and cool in the refrigerator. Makes enough for more than a pitcher. Place 1/2 cup of blueberries, 10-12 fresh mint leaves and a lime wedge in each glass. Muddle the ingredients by pressing it down lightly with the end of a wooden spoon and giving a gentle twist. Add the rum, ginger-infused simple syrup and club soda. Add a couple of ice cubes and stir. Garnish each glass with some fresh blueberries, a sprig of fresh mint and a wedge of lime. 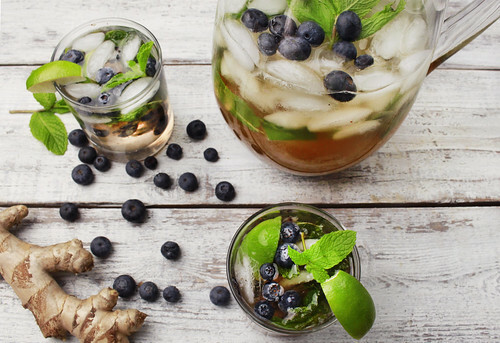 How To Add Ginger Blueberry Mojito Ingredients To Your Delivery: CSA members - head on over to our online Farm Stand Market to customize your upcoming delivery. The Market is open from noon on Thursday until 10 am, 2 days before your scheduled delivery day. After you confirm your produce items, click the orange button "Confirm and Continue To Other Farm Products" to add the products to your delivery. We take special care to select the contents of your box using the season’s best mix of organic produce for your Box Type and Size each and every week. 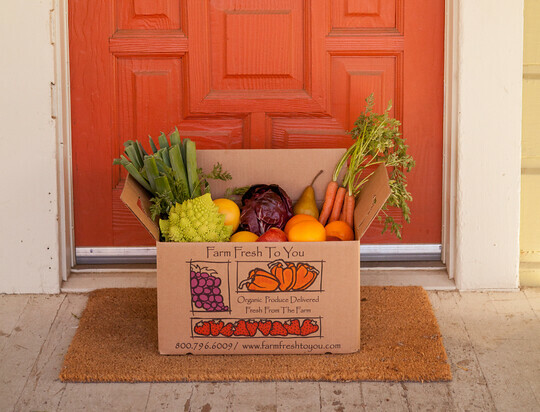 However, we know there are circumstances where you may choose to exclude items from your deliveries: possibly due to an allergy, maybe you are already growing certain fruits or veggies in your own garden, or you just plain don't like certain items. 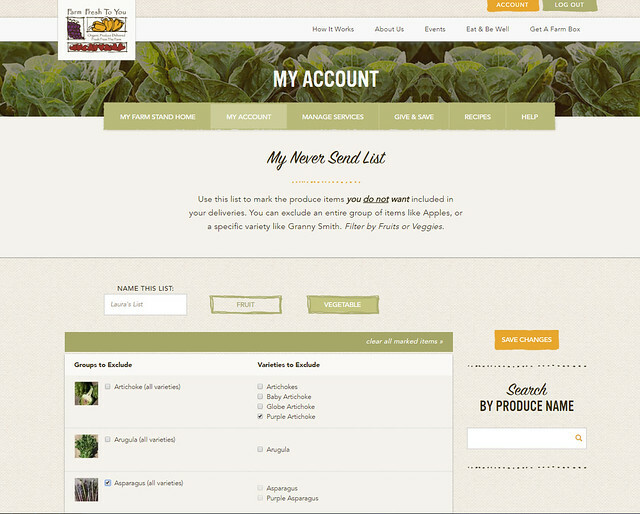 As Farm Fresh To You members you can use your Never Send List in your account to select any produce items you do not want included in your deliveries. You can update this list as often as you like, either online or by calling Customer Service (800.796.6009). BONUS - if you really need something any particular week, but don't want to take it off your Never Send List, you can still add anything that’s on your list to a delivery when you Customize Your Box (if it's available the week of your delivery). 1. Log into your account online and click the MANAGE SERVICES tab. 2. Scroll down to Manage Services and click the "create a never send list" link under "Never Send List". 3. Make any changes you want to your Exclusion List, give it a name, and click "Save Changes". Use this list to mark the items you prefer NOT TO RECEIVE in your box. You can exclude an entire group of items like all asparagus, or specific varieties like just purple artichokes or only cinnamon basil (see example below). Please note: excluded items will remain saved on you make any changes to your list. How Does the Never Send List Actually Work? Items on your Never Send List will never be scheduled for your deliveries. If you update your list by removing a mark, for example, the item will be added back as okay to use in your future deliveries. Remember, since we need time to harvest, pack and deliver your box, we need to receive all changes to your service, including to the Never Send List, by 10 a.m., 2 days before your next scheduled delivery day for those changes to go into effect. If an item that you've marked on your Never Send List is one of the items we've scheduled that week for your type and size of box, then we will automatically provide you with an alternate item, typically substituting a fruit for a fruit and a vegetable for a vegetable. Do you make the most of your Never Send List? Log into your account online and make your updates today! oranges are all in full bloom right now. Their evergreen leaves dark with experience are accompanied with a flush of lighter green leaves. The light and dark green of the leaves are sprinkled white flowers that are noticeable to an observant eye. They look plain enough from a few yards back, but their smell lures me in just as it does the thousands of bees. April 22nd. Earth Day - A dedicated day to improving the place we all call home. The world is slowly waking up to the realization that the way we have lived for the last 50 years may not be sustainable. More and more of us are beginning to realize that humans are part of the ecosystem, part of a delicate relationship with all living things. And realizing the way we live is causing harm to the planet. We understand why the organic movement has grown from a few students in 60’s, to a worldwide movement encompassing millions of consumers and producers. 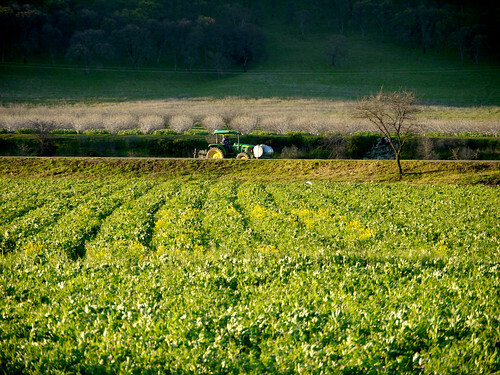 As organic farmers, we pledge to act as stewards of our precious resources and protect and maintain the soil, water, plants and animals of our farm while continuing to look for new ways to farm and distribute our harvests creatively to benefit the land and people of our planet. Around here, we believe that the best way to care for the earth is to get out there and enjoy it – because if you love it, you’ll do all you can to protect it. So what will you do this Earth Day (and for the next 365 days) to enjoy it, love it and protect it? 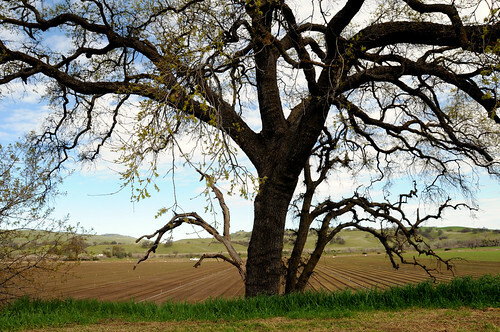 PLANT A TREE – This year’s Earth Day theme is Trees for the Earth. Planting trees is one of the easiest ways to fight climate change and will serve as the foundation of a cleaner, healthier and more sustainable planet for all. Learn more. PARTICIPATE IN A COMMUNITY CLEAN UP – Help take care of your neighbor parks, school gardens, creeks, and beaches. 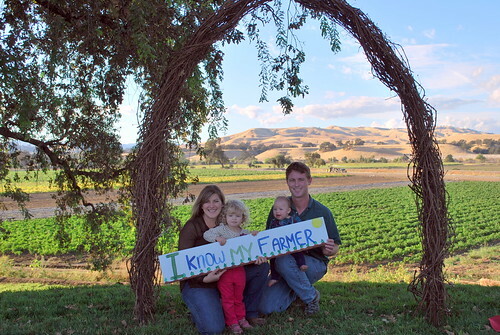 VISIT A FARM – Our mission is to connect people with the farmers and the land that grows their food by offering farm tours and events from March through October. We hope to see you at the farm in 2016! Learn more. 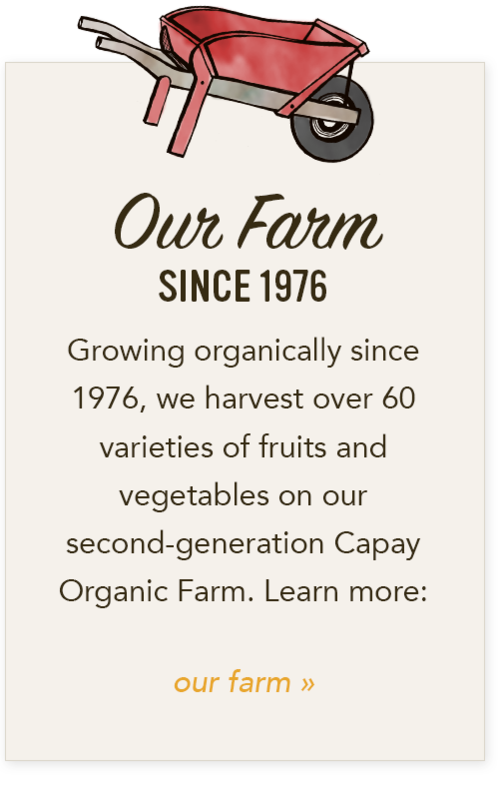 Your belief in and support of our organic family farm strengthens our vision and belief that we are headed in the right direction! We are on our way to a better place, but there is always room for improvement. We challenge you this Earth Day to take a moment and make a conscious decision to take one more step to make this an even healthier, more sustainable world to live in. Here are just a few ideas to encourage you.You can find them on our Earth Day Pinterest Board too! START A COMPOST PILE – Composting is a great way to combat food waste by keeping it out of landfills and waterways. It enriches soil with nutrients and helps boost plant immunity. Anyone can build a compost pile, whether it’s in your yard or under the kitchen sink. Learn more about how to compost at home. TOP TIPS TO SAVE THE EARTH – Small changes we make as individuals can end up making a huge impact on our environment. For instance, just by adjusting your thermostat by 1 degree can save you 10% on your energy consumption. HOW TO CELEBRATE EARTH DAY EVERY DAY – It’s amazing how many opportunities you will find to celebrate this wonderful world we live in! Learn ways you can show appreciation every day, once a week, every month and once a year. GET KIDS INVOLVED – It's so important that we teach our children about being kind to the Earth and environment. Live by example. Show them how lifestyle changes can make a positive impact every day of the year. There are plenty of ways you can make lasting impressions on future generations: Create an Earth Day “tip jar” and fill it with some of these ideas to get you started. 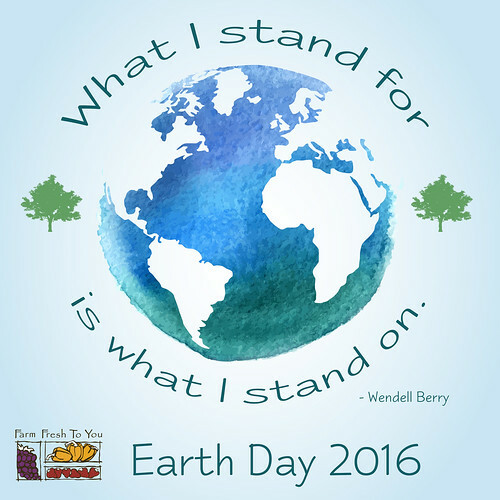 MAKE AN EARTH DAY PLEDGE - The idea is to make a promise of some kind to honor the planet we live on. There are many ways you can choose to do this: pledge to make changes, pledge your gratitude, pledge your love, pledge to protect, etc. We cannot thank you enough for your belief in organic and sustainable farming and for your support of a better future for generations to come. Happy Earth Day to you and your family from everyone here. and muddy fields. The result being I sit around setting into motion things that we will do as soon as the weather turns to spring, and I always forget how easy it is to overdo it. The result of these great ideas are coming back to haunt me now. Have you ever heard a CSA farmer complain that spring is the hardest time to fill the box? Does that sound like an odd comment, considering that everything is growing like crazy outside our windows right now? So here’s the rub - while nature and all our domesticated farm plants are taking off with the warmer weather and longer daylight hours, harvesting from those new plants is still a few weeks off because they are not fully mature. Since we are fortunate enough to have a nearly year-round growing season in California, we are still harvesting from our established plants, but they are almost done. We’re in the “tweens” you might say - the awkward in-between period where we are preparing for the unfolding of summer, but still holding on to a bit of the past… a perennial teenage time. What it means for our boxes is a couple things. 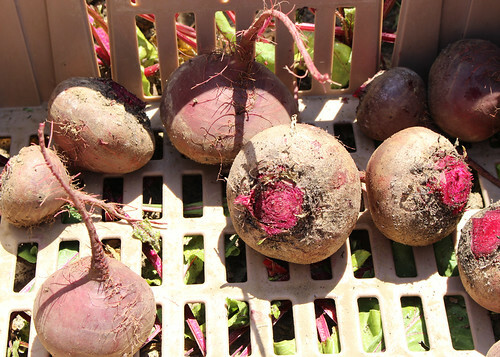 First, you are still seeing winter standbys like beets, potatoes, carrots and broccoli. These plants grow well, although much more slowly, during the cooler months and appreciate not having the bright sun burning down on them all day (unlike tomatoes and eggplant which love the hot summer days, but that’s another story). 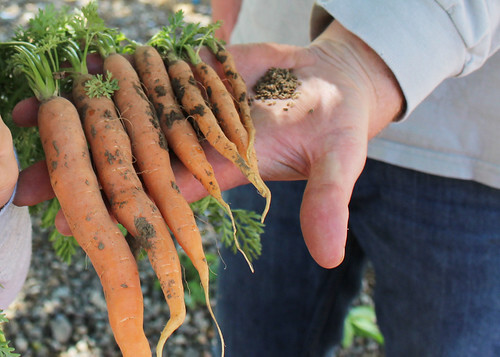 Our Nantes carrots, if you’ve tasted them, are about the best carrot in the world, but even as we pull them out of the ground, their tops or greens are looking a bit worn. This time of year, the carrot and beet greens get a little limp, yellow or ragged sometimes, but it doesn’t mean that the root underneath is any less tasty or healthy. We might “top” them (a practice of cutting off the greens) before we put them in your box since they aren’t as pretty, but we hope you enjoy eating them just as much. Second, it means we get to feature more produce from our farming partners. We love to support our neighboring farmers, some of whom are small or just getting started, by sharing their harvests with you. It also give us the chance to provide you with more choice and variety since their favorite crops may be different than ours. A win-win situation! I’ve been reminded to tell you that on the website under “info” for each item we offer in the box, it tells you where it was grown or made. Third, and something you may or may not have noticed, is that the size of the produce you get from week to week can vary quite a bit. My beets this week were huge, but my carrots were small. Why is that? During the winter rains, we can only get into the fields to harvest when the fields aren’t too wet, so sometimes we harvest early (smaller) or later after the rains (veggies grow bigger.) In the spring, it can be a matter of having enough time, frankly. 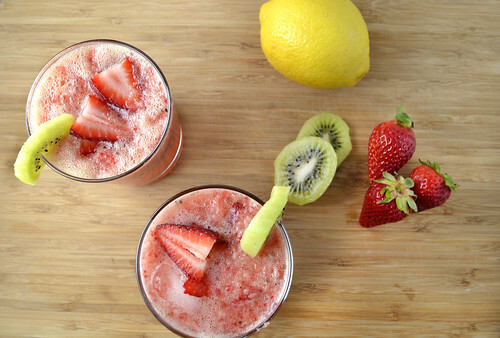 This strawberry kiwi lemonade makes us feel like summer is right around the corner and we couldn't be more excited! Put the kiwis, strawberries, honey and mint in a blender or food processor and blend until smooth. Pour the puree into a pitcher and add in the lemon juice and sparkling water or water (note: the sparkling water will cause the drink to fizz, so don't pour the sparkling water too fast). Stir to combine. Taste and add more honey or water if desired. Fill glasses with ice and pour the lemonade over the top. Garnish with strawberries and kiwi slices. How To Add Strawberry Kiwi Lemonade Ingredients To Your Delivery: CSA members - head on over to our online Farm Stand Market to customize your upcoming delivery. The Market is open from noon on Thursday until 10 am, 2 days before your scheduled delivery day. 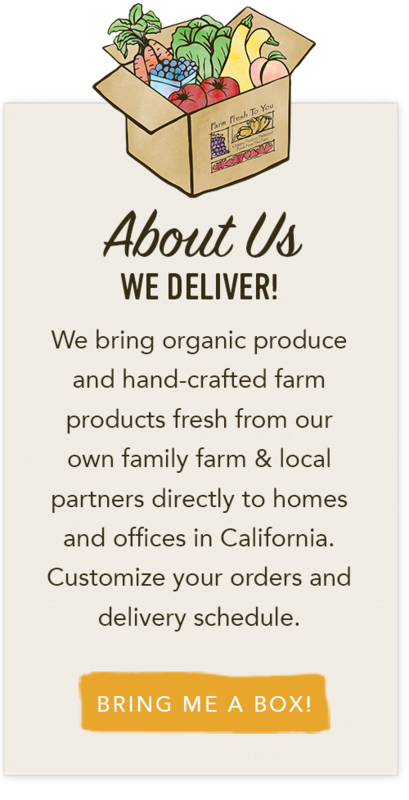 After you confirm your produce items, click the orange button "Confirm and Continue To Other Farm Products" to add the products to your delivery. The weather has been absolutely gorgeous. The hills remain green from the rain that we received this season. All of the fruiting trees have replaced their flowers with green leaves that are fresh and tender. Their color matches the plume of green that the oak trees have created. 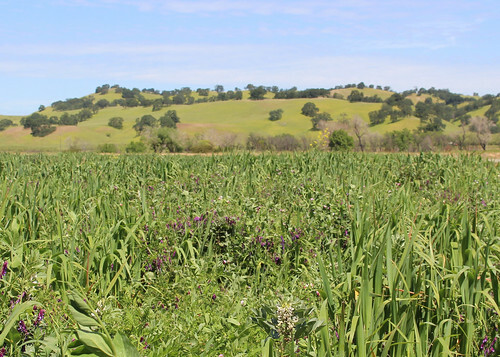 There are always nice smells in the air - the perfume of the orange blossoms, the whiff of freshly cut cover crops, the clean smell of a gentle, spring breeze. Finding reasons to be outside has not been hard!